Our culture is founded on professional pride, workmanship and honouring the promises we make. Would you like to join Himmerlandskød? Himmerlandskød is always looking for qualified staff, and you are most welcome to send us your application, at any time. Have you been trained as a butcher, and would you like to process raw materials working for Denmark’s second largest beef producer? 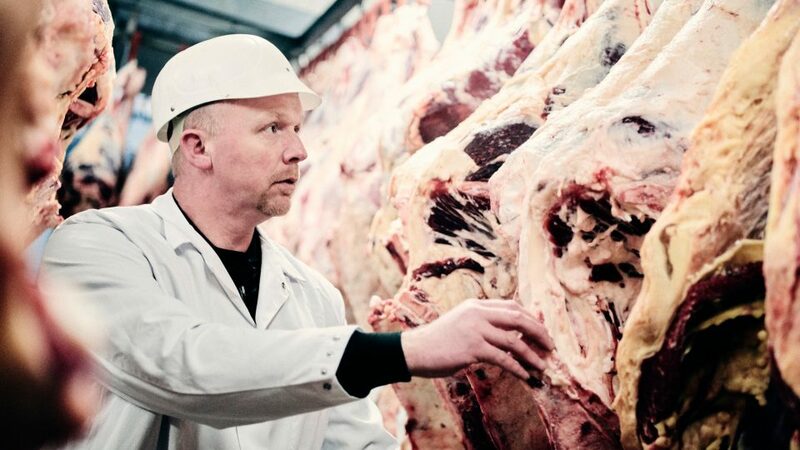 At Himmerlandskød’s slaughterhouses, Danish beef and veal meat is boned and further processed. Himmerlandskød’s cutting operations take place at the Farsø and Hadsund facilities, whereas the company’s slaughterhouses are located at Aalestrup, Kjellerup and Hadsund. At Himmerlandskød’s facilities, approx. 110,000 animals are slaughtered and boned every year. Contact: Mr. Robert Svanholm at rs@himmerlandskoed.dk. Write your name and contact details as well as a short description of yourself.